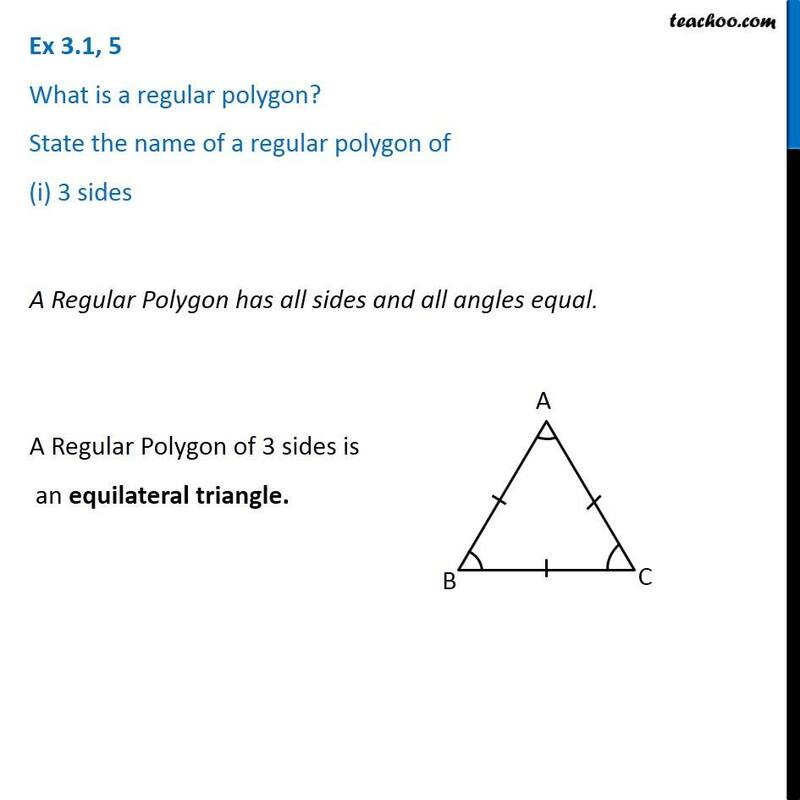 Ex 3.1, 5 What is a regular polygon? State the name of a regular polygon of (i) 3 sides A Regular Polygon has all sides and all angles equal. A Regular Polygon of 3 sides is an equilateral triangle. 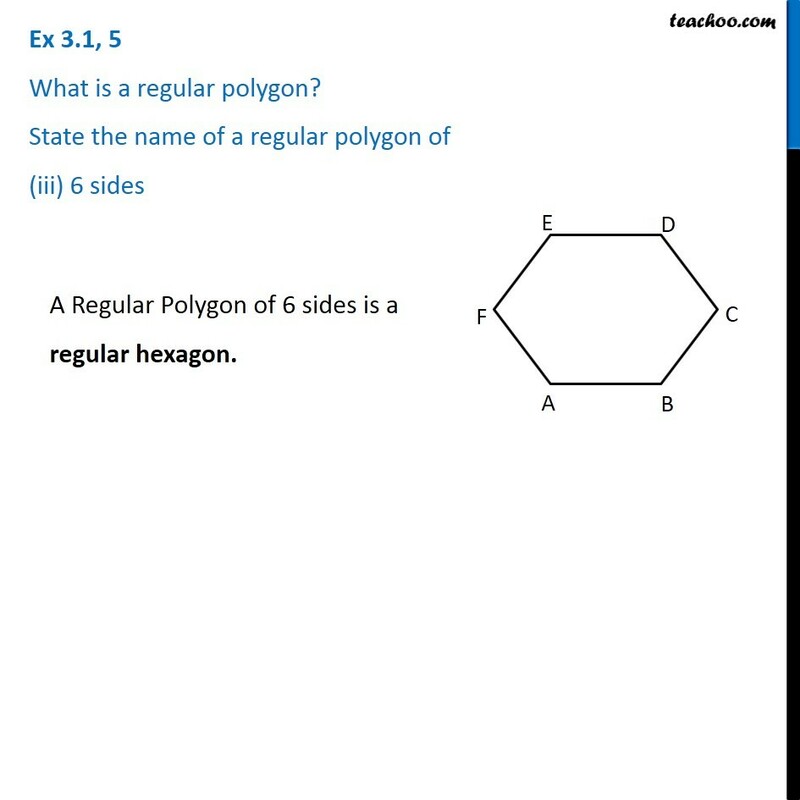 Ex 3.1, 5 What is a regular polygon? State the name of a regular polygon of (ii) 4 sides A Regular Polygon of 4 sides is a square Ex 3.1, 5 What is a regular polygon? 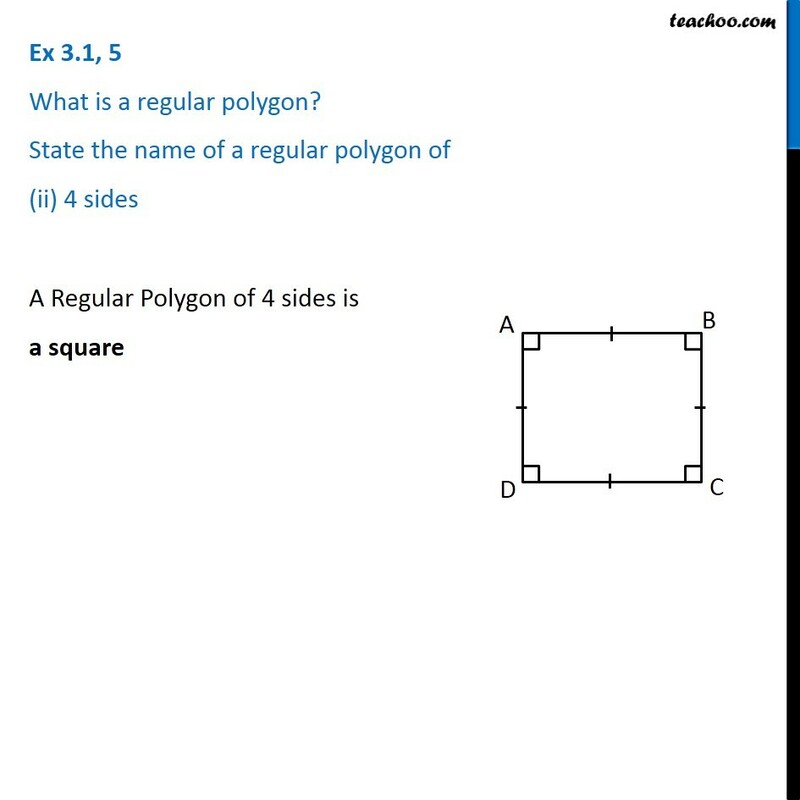 State the name of a regular polygon of (ii) 4 sides A Regular Polygon of 4 sides is a square Ex 3.1, 5 What is a regular polygon? State the name of a regular polygon of (iii) 6 sides A Regular Polygon of 6 sides is a regular hexagon.